Buying toys for your dog can be a whole lot of fun, but it can also quickly burn a hole in your pocket if you have a dog who loves to chew. While many toys boast longevity for chewers, those of us with dogs who love to gnaw know better. Looking for dog toys that last a really long time? Here are some just in time for the holidays. 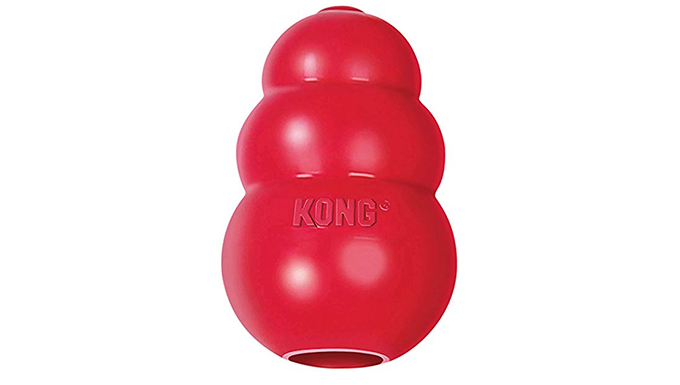 The Kong is an essential for anyone who has a dog who loves to chew. 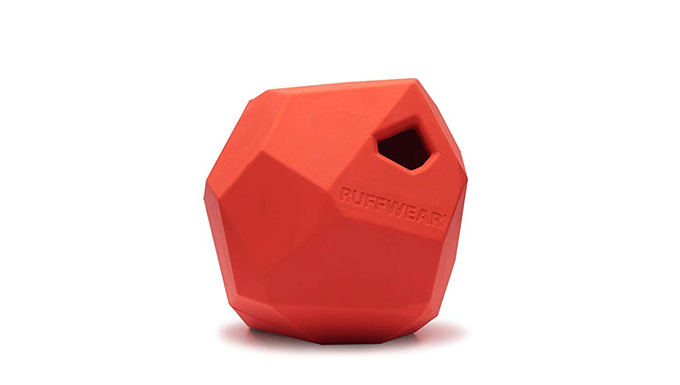 The rubber toy is practically indestructible for most pups, plus you can fill it with treats like dog-friendly peanut butter to keep your dog entertained for hours. This is ideal for use with puppies and training, too. Buy it on Amazon! A lot of the appeal behind chew toys for dogs is a squeak. Often, very active dogs will destroy the squeaker, which destroys their interest in the toy, as well. Instead, try out this seal, which has several squeakers. The best part? This toy does not include any extra stuffing, so when your dog inevitably rips it to shreds, stuffing won’t pose a threat. You can also get it in a variety of animals, like the walrus or alligator. What’s not to love? Buy it on Amazon! While your dog might enjoy rawhide chews, too many can wreak havoc on your dog’s digestive system. 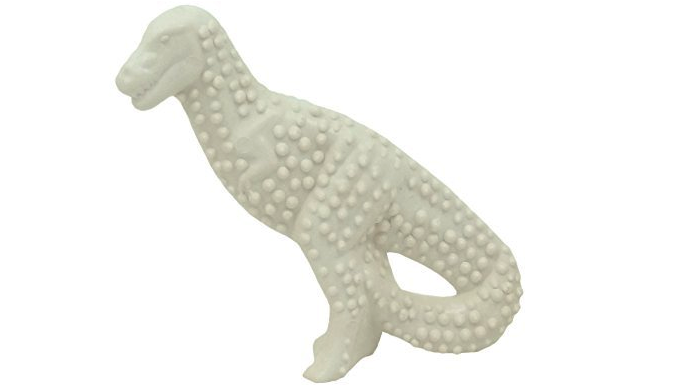 Opt for an indestructible chew instead, like the Nylabone Dental Dinosaur Chew. This toy was designed to withstand heavy chewing, and its unique texture helps clear plaque off your pup’s teeth. Buy it on Amazon! This is one of the few plush toys that can withstand an aggressive player or chewer. 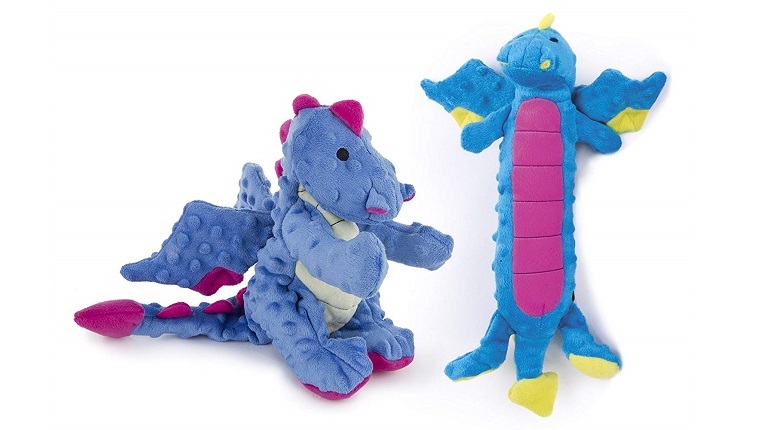 This adorable dragon is double-stitched to last longer, and it has a squeaker that is sure to provide lots of fun for your dog. This is a toy my dog has had since I adopted her in 2013, and it is one of the few original toys she still has. Buy it on Amazon! This is another great option if your dog likes rawhide chews a little too much. 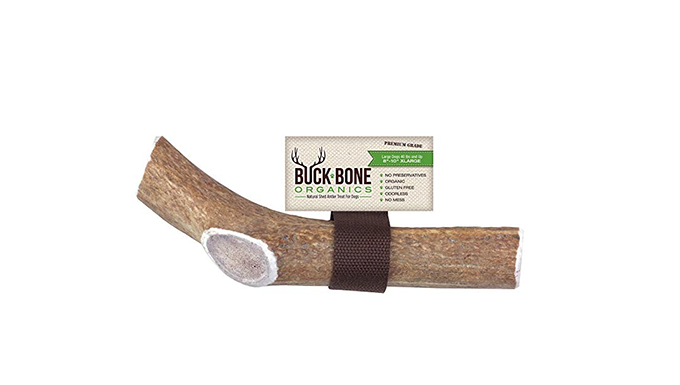 This additive-free antler chew is full of calcium, phosphorus, and other vitamins and minerals to help keep your dog’s oral health in check. If you’re tired of finding half-chewed rawhides all over your home, try this out instead. Buy it on Amazon! These toys are not only adorable, but they are pretty chew-proof, too. 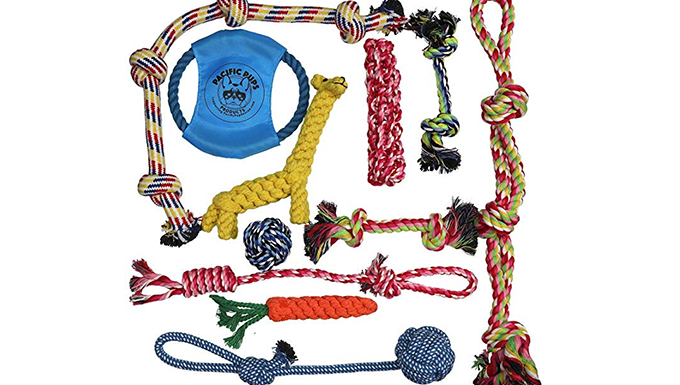 Since these toys are tightly woven rope, your dog will have a much more difficult time tearing them apart than their plush counterparts. You can grab them in packs, so your dog can keep one of these toys in each room of the house. Buy it on Amazon! For those colder months, it is nice to have a toy to throw around to your dog that won’t also accidentally smash a vase. 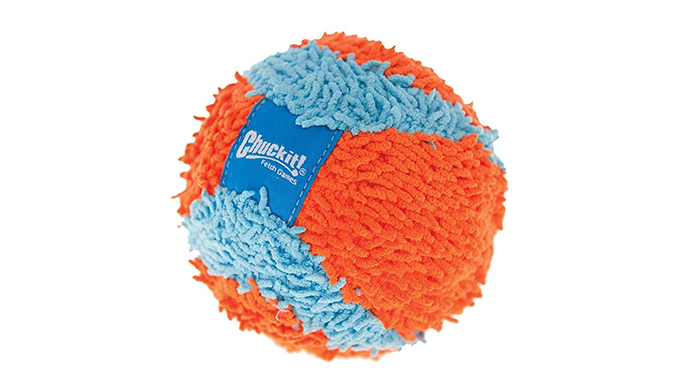 This indoor ball dog toy is great for playing indoor fetch. It’s multilayered, which makes it difficult for dogs to chew through, and it rolls easily, which makes it fun for dogs to play with by themselves, too. Buy it on Amazon! If your dog likes to chew anything and everything they find in your backyard, consider throwing a couple of these outside. You can play fetch with this toy, as it is designed to bounce in an unpredictable manner, making the game all the more fun for your dog. 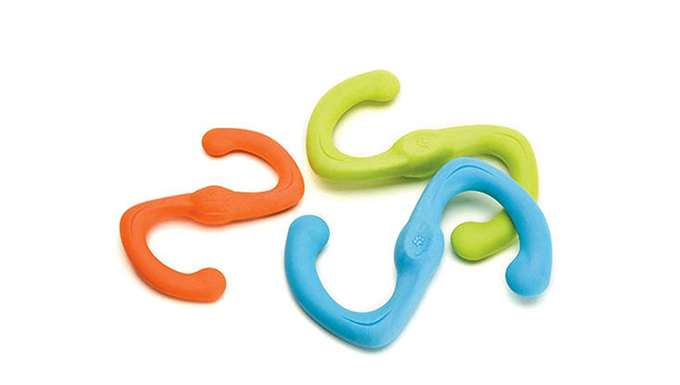 All of the sides of the toy also help massage your dog’s gums. Buy it on Amazon! 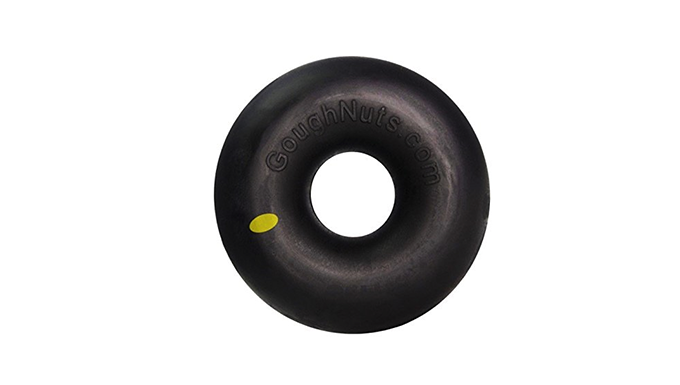 For those who swear their dogs chew through every single toy, the Goughnuts ring is the way to go. The creators of this product are so confident in it that if your dog chews through to the red layer, they will replace it for you. 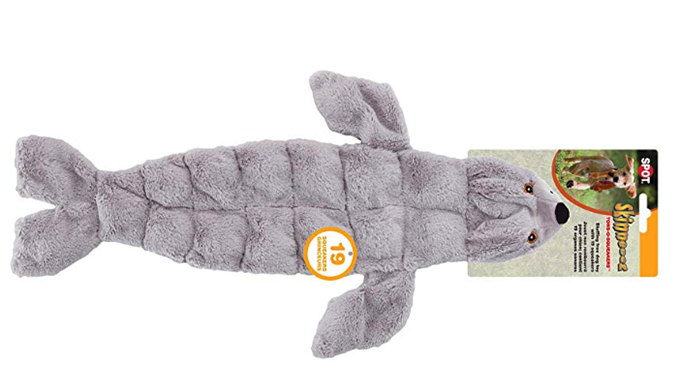 The toy also floats, so it is great for dogs who like to play fetch in the water. Buy it on Amazon! How many dog toys fall victim to an intense game of tug-of-war? With the West Paw Zogoflex, you can play with your dog, or let two dogs play tug-of-war with each other, without worrying about the toy getting destroyed. The toy may look small, but it stretches to two times its length to make playtime extra fun for you and your dog. Buy it on Amazon! Does your dog have any favorite long-lasting chews? How fast does your dog chew through toys? Let us know in the comments below!